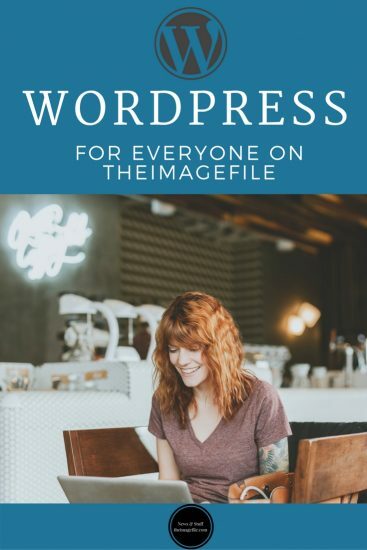 WordPress for everyone on theimagefile! How a blog can attract new visitors with the potential of converting some of them into paying clients who appreciate your experience, expertise and professionalism within the imaging industry. 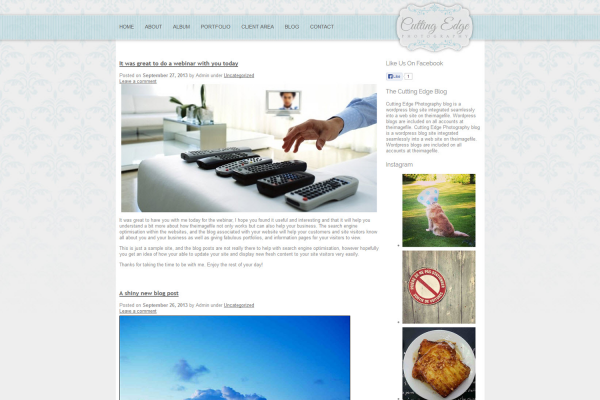 WHAT IS A BLOG AND WHY WOULD YOU USE ONE? Most photographers aren’t really very keen on adding lots of text to their websites. The old phrase of a picture speaks a thousand words is absolutely true to people that are looking at your pictures, however, a picture will not say so much to the search engines so we really need a blog to add plenty of text to our website, making great search engine fodder. It does not need to be called a blog, although that term is generally understood by most website visitors, you can call it what you want… News, updates, what’s happening etc. The word “blog”, originated from the words web log. It was supposed to be a journal of your views and ideologies that your visitors can follow, subscribe to and comment on. As with all good things progress was rapid and very soon people were adding photos to their blog posts and then even videos! With the changes in technology, it is becoming easier for anyone to run a blog without any particular technical knowledge. WordPress has become the most popular blogging software, which is why theimagefile is integrated with the WordPress platform. IF I ALREADY HAVE FACEBOOK, DO I STILL NEED A BLOG? No, but it is a good idea. Blogging isn’t for everyone though. It can be time-consuming, requires dedication, and can sometimes be considered yet another administration task that needs to be handled. Facebook and the other social media avenues that are available are a completely different beast. With privacy and sharing options the audience that see the posts that you make within your Facebook account can be a very restricted. The search engines will not index your Facebook updates. The purpose of the blog is to attract more visitors, have your content indexed by search engines, and increase the traffic to your website by providing interesting, informative and anecdotal content. Blog software includes meta data, categories, and tags, some of which are displayed on the page and some of which are only available in the source code to the search engines, designed to maximise search engine readability and with the potential of great indexing. Ideally, blog about something you feel passionate about as this will give you plenty of content to draw on, and make your posts more interesting to the visitor. If you’re passionate about off-camera flash, and you’re prepared to share your experiences, and your opinions with others then go for it! If you’re passionate about underwater photography whether that’s marine life or baby portraits, then go for it! The whole point is that with your blog you are adding content that is interesting to your visitors, creating a following, including plenty of keywords and phrases on a topic of your interest, that can be indexed by search engines and increasing your page rank. Thankfully, theimagefile has done the hard part for you! By simply creating a WordPress blog page in your website on theimagefile, your blog will be set up for you including the most popular and tested plug-ins, and theimagefile plug-in will automatically create a custom theme just for you, to seamlessly match your website. If you make changes to your website, the theme will automatically update too. To create a WordPress blog simply log in to your account on theimagefile > My Websites > Pages > Create New Web Page > WordPress Blog (this is located in the section titled “Other”). P.S Take a look at our WordPress 101 series, covering everything you need to know to make the most of your WordPress blog.